Know Thy Place on Television Tonight! 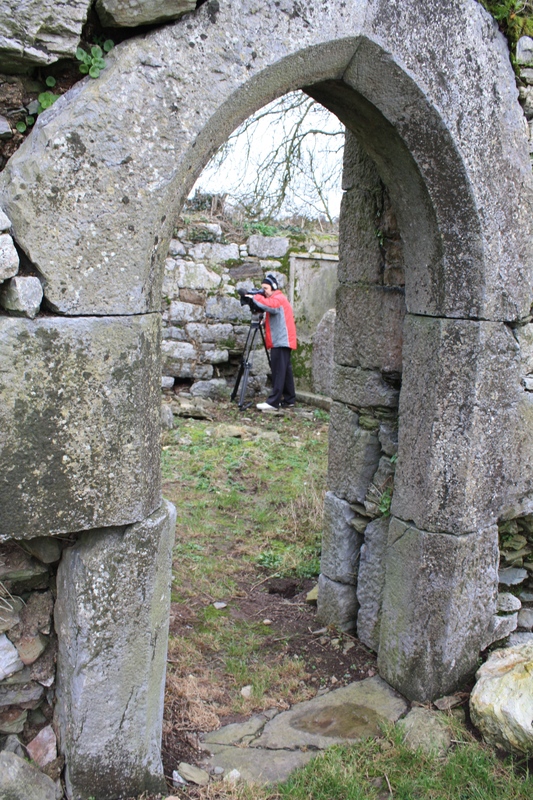 For anyone who wants to find out more about Know Thy Place and see how we produce the charts (and what the archaeological sites they are based on look like! )- Colm Moloney, Louise Baker and Damian Shiels from the team will be appearing on Country Focus tonight. Fifteen minutes of the show will be dedicated to Know Thy Place; the Country Focus team met up with us in our offices to learn about our charts, before we took them out in the field to see some of the typical archaeological sites we come across when conducting our research. The show airs on Sky Channel 201 in Ireland at 20.30 GMT tonight, and will be shown on PBS in the U.S. at a later date. For anyone who wants to see a promo for the programme you can check it out on the Country Focus Facebook page here. We hope you can tune in- please let us know what you think! 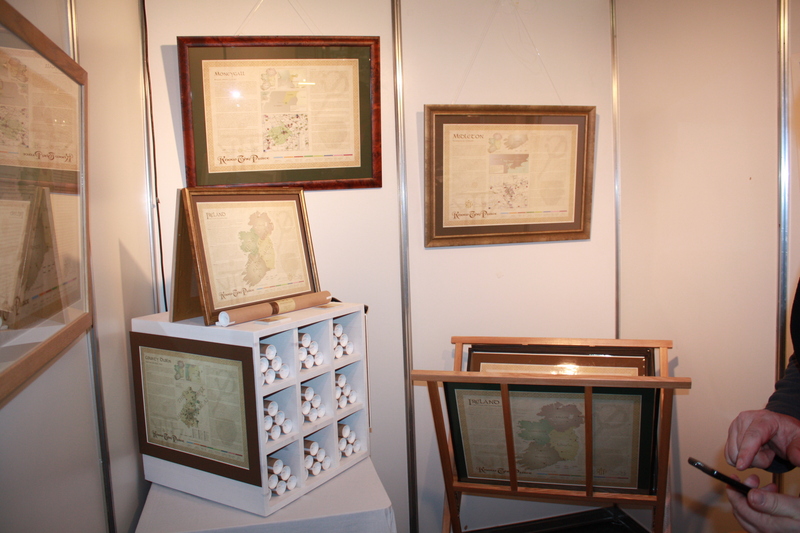 As part of the launch of our County and Irelandcharts we decided to exhibit this year at Showcase Ireland, Ireland’s largest expo for creative products and ideas. Our attendance was designed to make contacts with potential retailers who would be interested in selling our products both in Ireland and the United States. As a result of our attendance we have concluded deals with a number of outlets and are in negotiations with several more. We thought we would share some of our experience at the expo with you through the medium of photography- captions provided by Know Thy Place Director Colm Moloney! 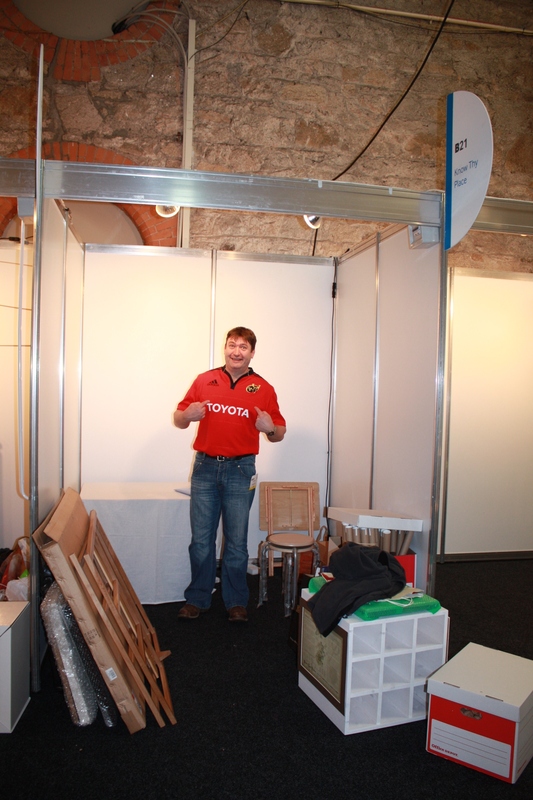 Our stand had to be erected on a Saturday so it was an early start from Cork to get to the RDS and have everything installed before 6pm. This is me setting off early from Midleton, County Cork (my place!). 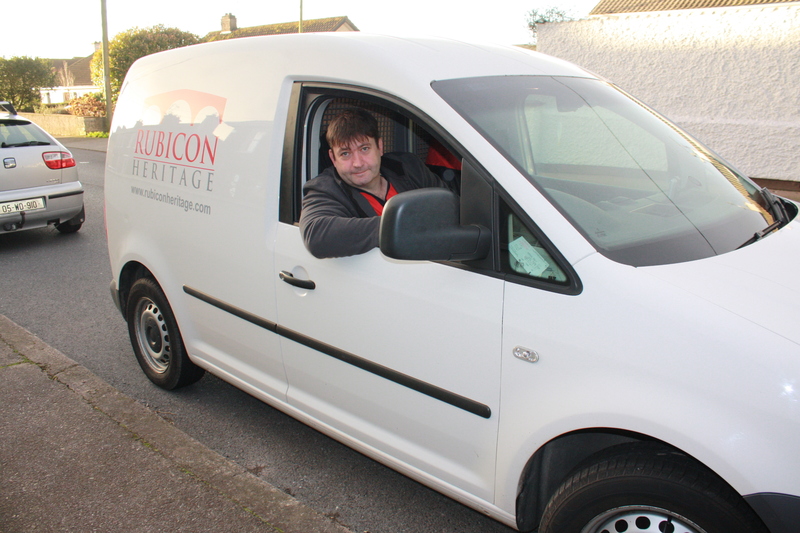 Many thanks to Rubicon for the loan of the van. Leinster Rugby Club were playing a match across the road from the RDS exhibition centre, I decided to wear my Munster Rugby Club jersey as Munster are the prime rivals of Leinster in Ireland. This is me having just arrived at the stall, upsetting the locals in my jersey! The officials at the gate asked me to change! Louise designed the layout of the stall and I provided labour to get everything in place. We tried to provide examples of how our products could be displayed in a shop environment. 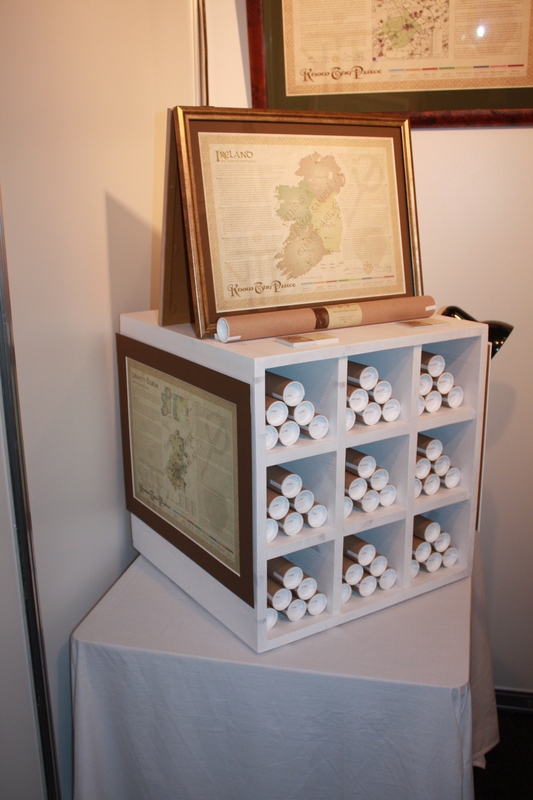 We exhibited framed examples, examples in a cradle and we also designed a rotating display cabinet. The majority of smaller outlets preferred the framed example while larger shops were interested in our custom-built cabinet. Here is me putting the display together under the direction of the lovely Louise! The end result of all our efforts! 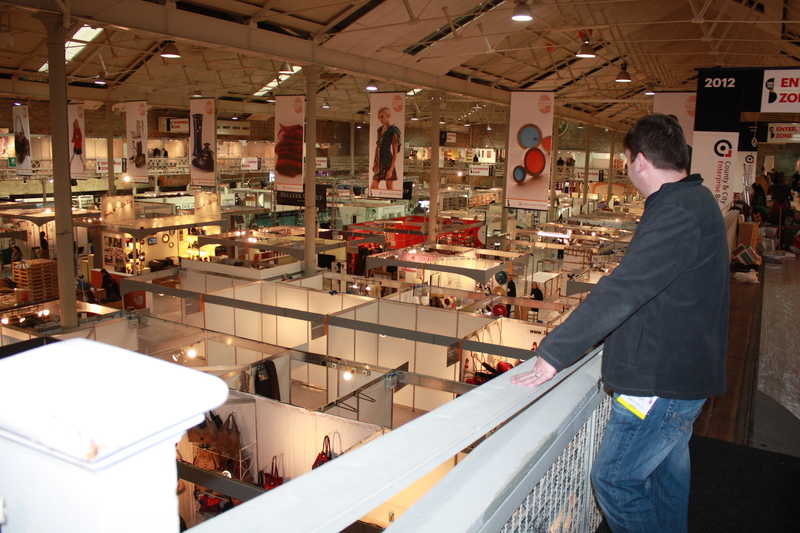 The Expo is massive with 350 exhibitors with a bewildering variety of products. It is a great opportunity to meet both domestic and international buyers and see if your products would suit their shop. This was particularly important in the case of Know Thy Place as we produce a unique product. 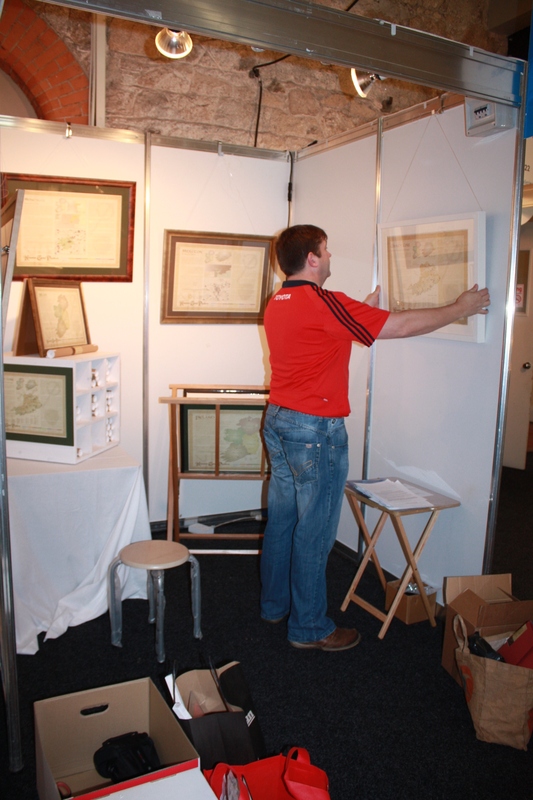 We spoke to people who have Irish shops in the US and needed products to cover all of the counties of Ireland. our county charts seem to be the perfect fit for this market! 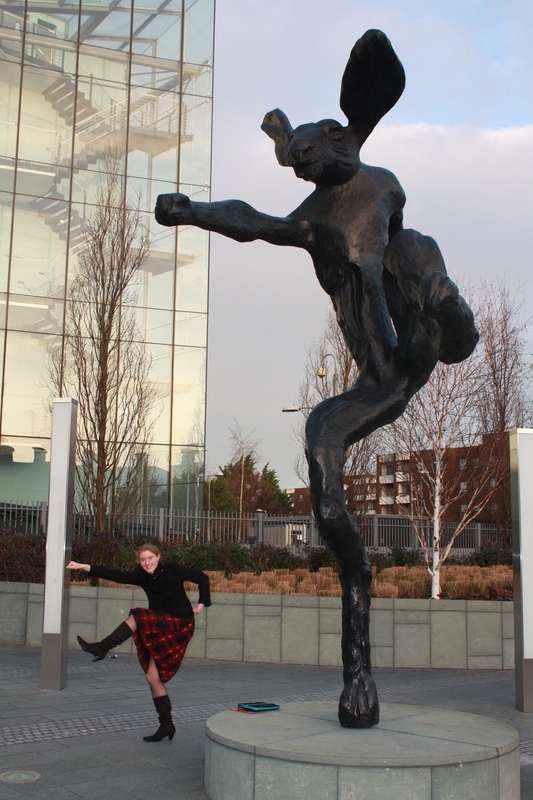 Here is a photo of me checking out the opposition! 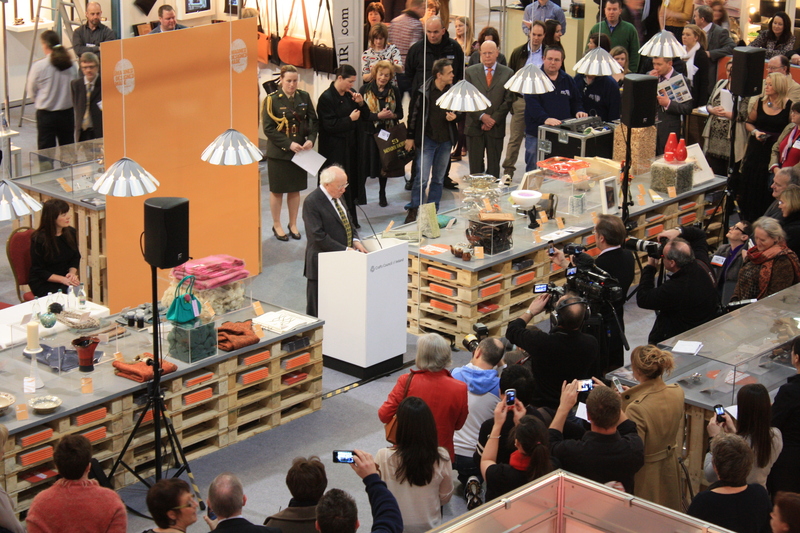 I think the lovely Louise has a soft spot for Michael D! 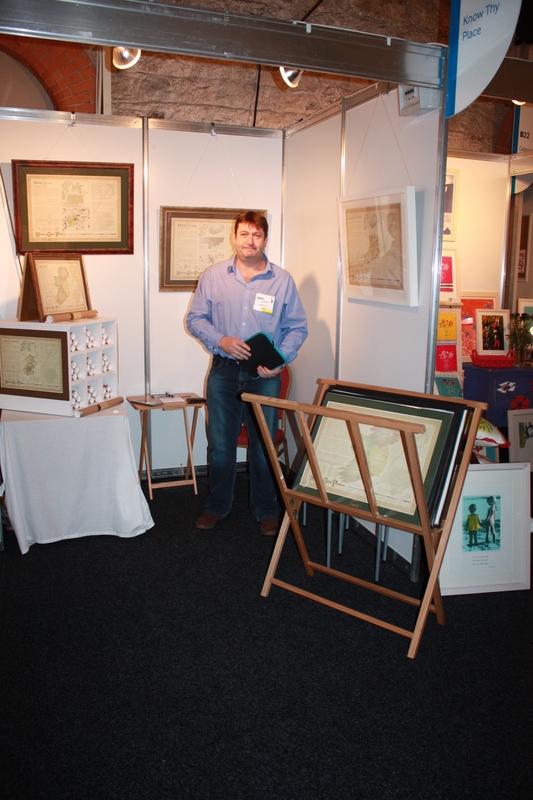 The Expo was a great success. We raised our profile and had lots of interest in our products, a lot of which has been converted into orders since the event. We also made lots of friends amongst the other exhibitors- people we hope to meet at further similar events in the future. 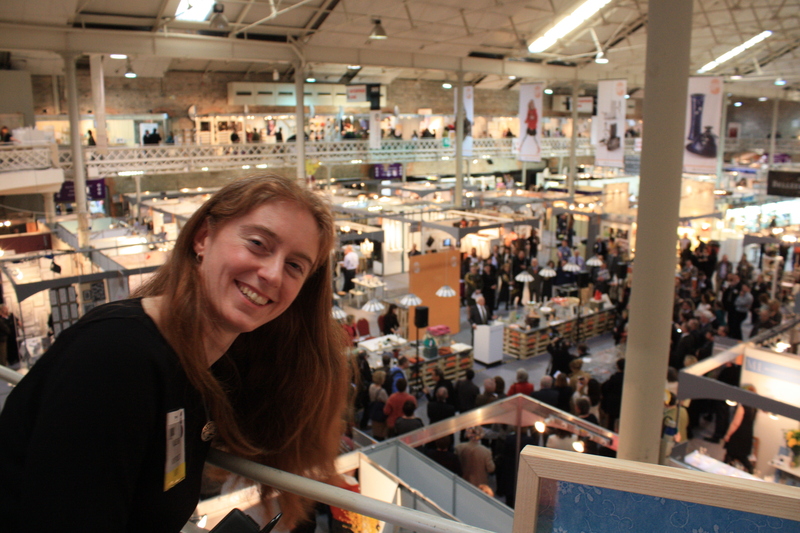 Louise kicking off Showcase Ireland in style! 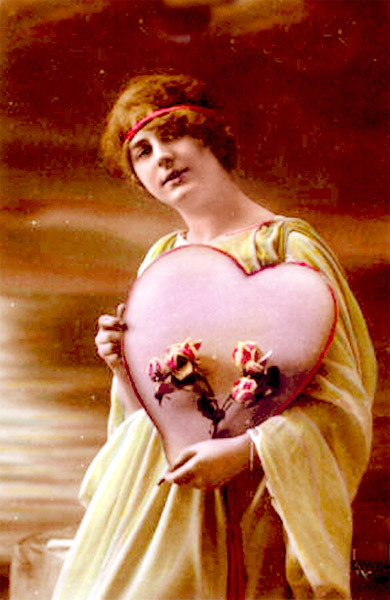 St. Valentine's Day image c.1910- where did it all come from? Valentine’s Day is once again on the horizon. This event sees worldwide chocolate supplies decimated, red-roses massacred by the million, and restaurant reservations become more valuable than the combined GDP of several small European countries. 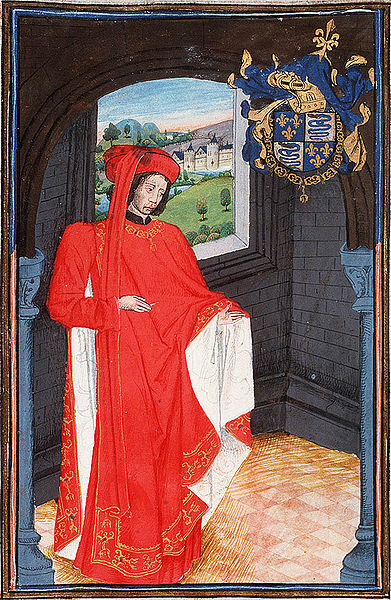 But who was St. Valentine? And what connection does he have with Ireland? There are a number of different St. Valentines, and it remains unclear which of them the 14th February date refers to. 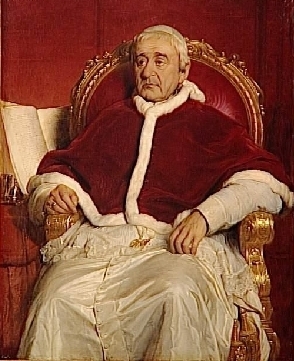 At least two lived in Italy; one was a Priest in Rome, the second a Bishop in Interamna. They were both martyred sometime in the 3rd Century AD. A third St. Valentine was from Africa and also became a martyr, but little is known of his life. It is thought that the tradition originates with one of the Italian Valentines, and various legends have sprung up around him to explain his romantic associations. These include one tale which relates that the future saint fell in love with his gaoler’s daughter, and sent her the first Valentine card to express his feelings. But what of the Saint’s connection to Ireland, and Dublin in particular? This dates back to 1835, when an Irish Carmelite, Father John Spratt, visited Rome. He was a renowned preacher and was invited to speak at the famous Church of the Gesu in the city, which was thronged for the occasion. Pope Gregory XVI wished to give the Carmelite a token of his esteem, and so Father Spratt was presented with some of the supposed remains of St. Valentine and a vessel containing the martyr’s blood. He had them taken back to Ireland, where he was overseeing the construction of Whitefriar Street Church in Dublin. 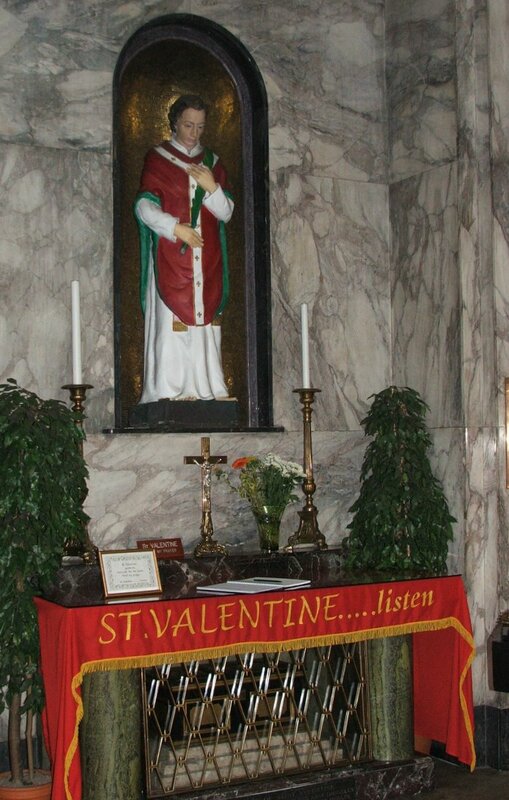 St. Valentine (or at least a part of him) arrived at his new home on 10th November, 1836, where he is to be found to this day in a specially constructed shrine within the church. The reliquary of St. Valentine has now been in Ireland for some 177 years, and can be visited by the public. Given his long-time residence in the country, a period which has seen a scientifically documented increase in the romantic tendencies of the Irish (based on sales analysis of ‘Kiss Me I’m Irish’ t-shirts across the same time-span), it goes without saying that at this point he is considered a true blue ‘Dub’, and is firmly regarded as one of our own!